In thinking about what I will do to feel I am a success in business again, I am on the look out for the signposts. I have always known that success is a decision, so when am I going to make it? Two things have jumped out recently to remind me that I need to make that decision! 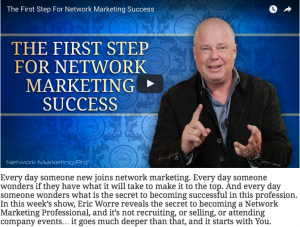 I got an email this morning for Eric Worre, entitled (What is the)“First Step for Network Marketing Success”? And it has a brilliant video regarding the decision to be success, well worth watching even if you have no interest in Direct Selling! I had the great pleasure recently of presenting the Kilmacud Crokes Minor B football team of 2014, with their Championship winning medals. When we met for the first time, I asked them was this to be a social team or did they want to win something. They told me they wanted to win. When I asked why, they told me that they were so disappointed with losing the final in 2013, that they wanted to make up for it. Particularly the guys who felt hard done by, that they could have won it if they ad been given the chance and let do what they could do. The season had its ups and downs, mostly it felt like I was herding cats, I kept telling them it was their team not mine. 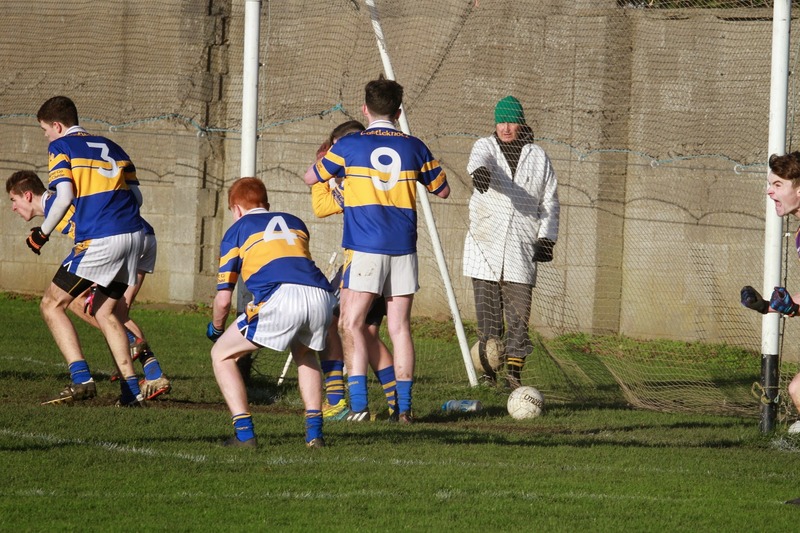 We needed help for a few sixteen year olds to keep the team going at one stage. Had to contend with some serious injuries and had to come back from some huge shorelines to win the quarter finals and semi finals. Having scored huge amounts of pants and goals, our opponents kept us to a meagre scoreline of 7 points in an hour. 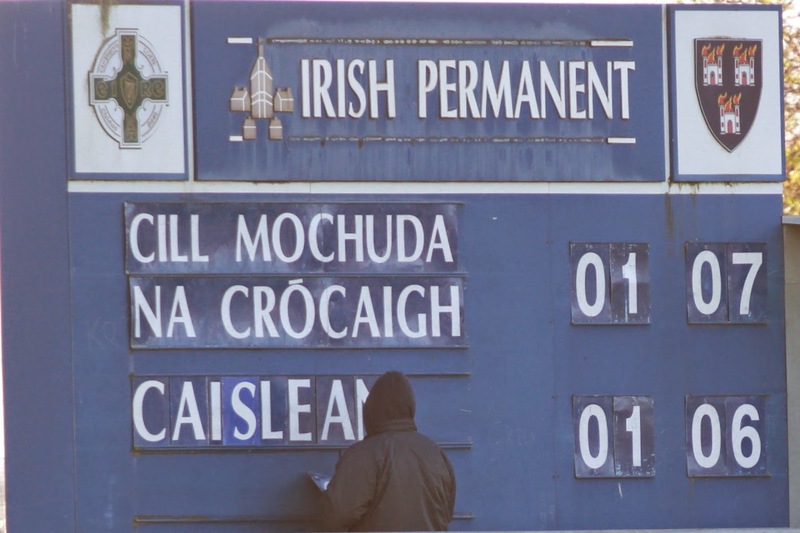 We had lost a great player to injury and we were 2 points down and four minutes into injury time and my son, the Captain, stepped up, 21 metres out, the line packed with young men, players between him and the goals, as his Father gathered water bottles, jackets, feeling calm, content even though it looked like we had lost, then came the whistle, the smack, the SILENCE and the roar, GOAL! Well, he made a decision, not the one to have a go for the last gasp goal, no the decision to try and make it as a ‘keeper its the first team earlier in the season, the decision to win that championship, with his team, his friends, his club. It meant that much to him, that it was no surprise that “something” happened to deliver on his decision. The Moment when You Win! So I have to make the decision. I have to focus, I have to say that all other distractions are just a part of the business plan, so that my decision to “succeed” is delivered upon! Contact Me! If you are going to make a decision to succeed and want to join me on this journey. ← Draw a line, get over it and leave the baggage behind!